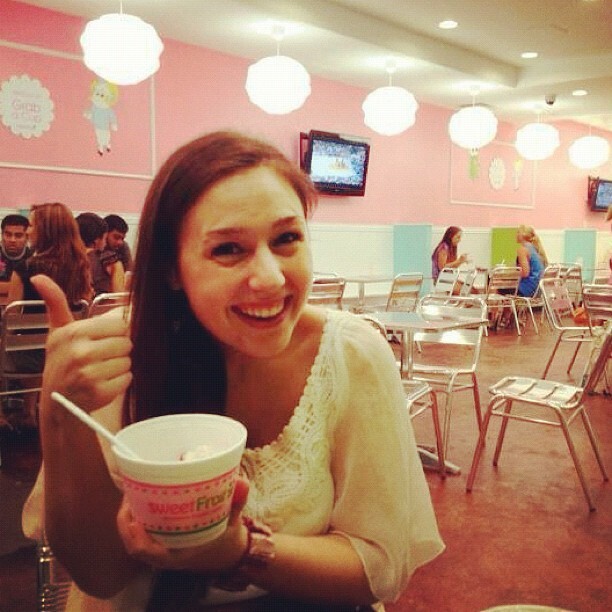 This past weekend I headed to Chapel Hill to visit one of my dearest friends, Lindsay. She’s attending UNC for her PhD in philosophy. We met as young kids at 4-H camp, and we’ve remained close ever since. Lindsay is one of those friends I don’t see all that often, but when we do, it’s like we’ve never spent a day apart. This weekend was no different. We found ourselves on several unplanned adventures, which always ended with plenty of laughter. I arrived Thursday evening and we began exploring Chapel Thrill (as Lindsay calls it). After some froyo at Sweet Frog, we made an impromptu decision to attend an amateur comedy show. Although there were several free drinks involved, the comedy was mediocre at best. We did die laughing when one of the amateurs decided to read William Wallace’s freedom speech from Braveheart in a horrible Scottish accent. It was amazing. I had to work on Friday and Lindsay still had some talks to attend. 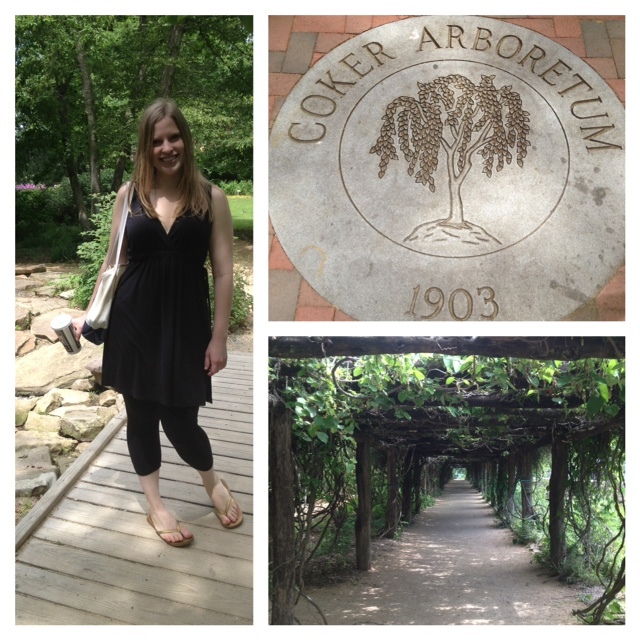 We were able to get away for a bagel break and a walk through the Coker Arboretum to soak up the gorgeous day. Later that night we went for dinner at Top of the Hill and then met up with some of her philosophy friends at this great wine bar, Peccadillo. If you’re visiting Chapel Hill, and can find it, I highly recommend it. The evening turned into morning and we finally went to bed at 6 a.m.
Saturday was a sleepy day, and we finally made it out the door by late afternoon. We went for lunch at Buns and then made our way toward Carrboro, stopping at little shops along the way. Unfortunately, we were caught in the rain and headed back to Chapel Hill. With the weather not cooperating, we decided a night in would be a good idea. 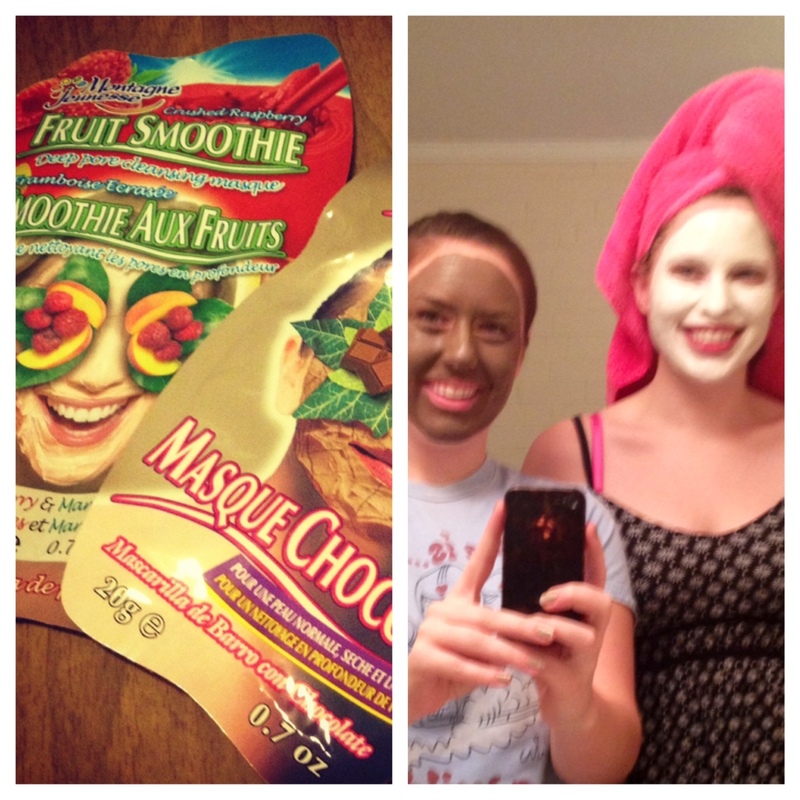 We made pasta, used facial masks and watched one of our favorite movies, Mean Girls. We finally made it to Carrboro on Sunday for a fantastic lunch at The Spotted Dog where I ate the best quesadilla of my life. And then it was time for me to head home. 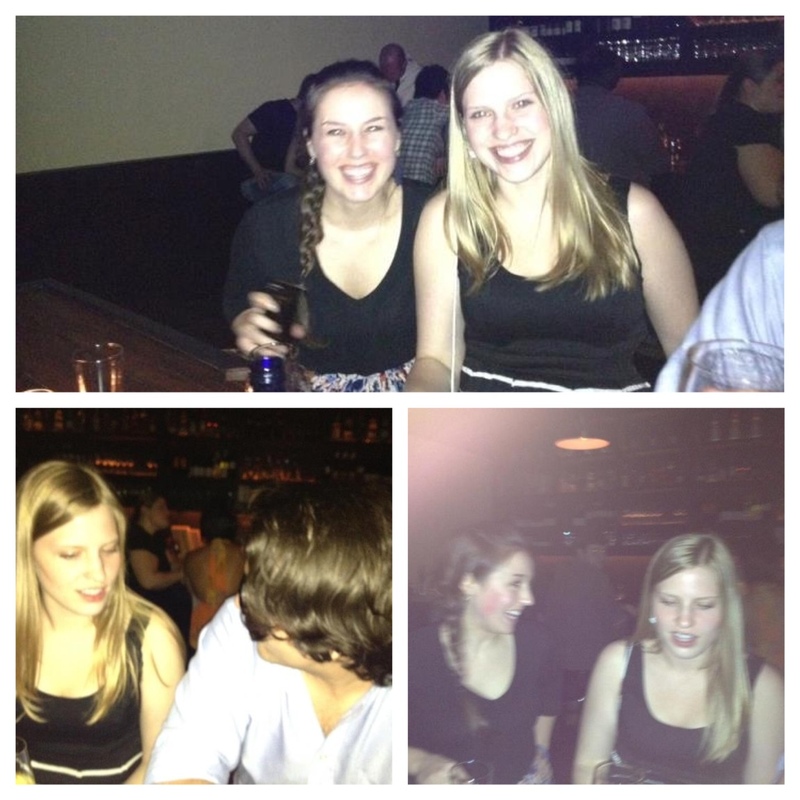 The weekend went by fast, but we had such a fun time together. I’m already looking forward to my next visit.